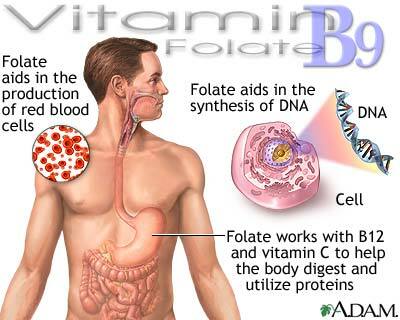 Folate (folic acid) is necessary for the production of red blood cells and for the synthesis of DNA (which controls heredity and is used to guide the cell in its daily activities). Folic acid also helps with tissue growth and cell function. In addition, it helps to increase appetite when needed and stimulates the formation of digestive acids.